If the work on your car is expected to take a while you may choose to leave it and come back. 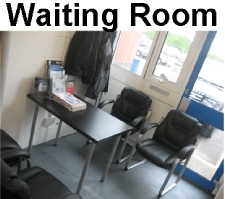 However if it is more suitable for you to stay around, we have a range of things you can do locally or you can choose to use our waiting room. It has a few magazines, TV, DVD, brochures and Wifi. You can make it your own for the duration of your visit as a reading room, office or just somewhere comfortable to sit. We of course make sure that you have a cup of tea or coffee to keep you company. 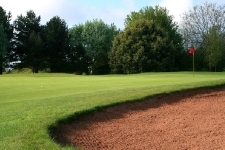 We are right next door to Filton Golf Course, If you fancy a round of golf to kill the time while we work on your car. As a customer of LNB Towbars you will receive a special 50% off guest rate of just £20 for a round. The dress code for the club is no jeans. The Mall Cribbs Causeway is just 10 minutes away on the number 75 bus. Or the same bus in the other direction takes you along Gloucester road to Cabot Circus Shopping Centre in about a 30 minute trip. Treat yourself to a shopping trip while we work on your car. 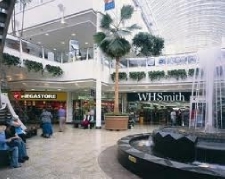 10 minutes by bus is Cribbs Causeway with Hollywood Bowl, 10 Pin Bowling or Vue Cinema. Filton Swimming Pool is walking distance just across the road next to Elm Park which has a nice play area for young children. 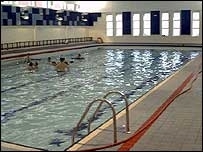 There is also Filton Fun Hanger Soft Play, Squash Courts, Snooker Tables, Tennis Courts and more at the same location. Booking may be neccesary for some activities. 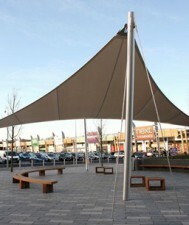 Filton Library and Shield Retail Park are just across the road. The library is closed on Wednesdays. The retail park hosts leisure store Snow and Rock, A Tanning Salon, The Bathstore, Dreams bedstore, Home Bargains and Farmfoods, as well as food from KFC, Subway and The Concorde Inn. A little further down the road is Abbeywood Retail Park with Pets at Home, McDonalds, Next Clearance, Matalan, DW Sports, B&M, Poundland, Nandos, Subway, Asda, Franky & Bennys, Costa, Bella Italia, and Brantano. 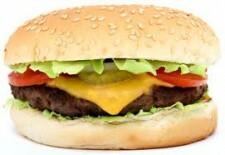 Food and refreshments can be found locally at The Air Balloon Tavern, Buckleys Sandwich Bar, Filton Golf Club, The Concorde Inn, The Plough, Subway, KFC, McDonalds, Filton Feast, Nandos, Franky & Bennys, Bella Italia, Costa, Greggs, Caspian Fish Bar and more. BY BUS: For commuters we are just off Gloucester Road North with buses to Cribbs Causeway or Aztec West (10 mins) or in the other direction to Bristol City Centre (35-40 mins). 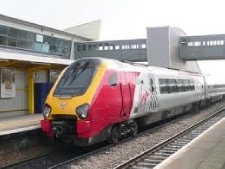 BY RAIL: We are situated very close to Bristol Parkway and Abbeywood Railway Stations. LNB Towbars are Bristol’s finest independent towbar fitting centre. A family business started in 2007, We focus heavily on providing high quality parts, high quality service, and high quality workmanship to every customer. This has been our recipe for success. In summer of 2018 we moved to our great new units at 1152 Aztec West Business Park, one of the most prestigious business parks in Bristol. As well as car towbars and accessories, LNB Towbars have become one of the UK’s leading motorhome towbar specialists and has developed the highest quality tow car A frame product on the market. However our proudest moments are seeing our customers come back again and again. Thank you for your continued support, making LNB Towbars what it is today.